I used square dies to cut out my window, then I stamped the trees on clear acetate and adhered that to make the glass in the window. Next I stamped the trees again on a plain piece of white cardstock and colored the background in with my copics. I created the snow by using my colorless blender and dotting randomly around the scene. Finally I stamped the light bulb on clear acetate, colored them with my copics, and strung them across my card with some twine! 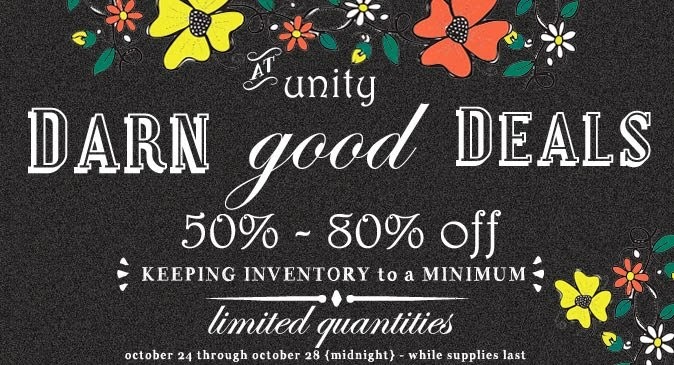 Alright, are you ready for the awesome SALE? 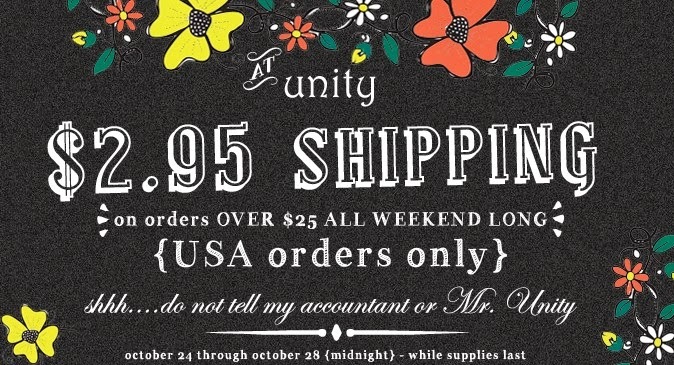 Check out the banners below and CLICK to shop! Don’t forget to leave a comment on all the participating blogs. We'll be giving away a fabulous Unity PRIZE to comments left on each of the blogs!!! THREE winners will get to choose TWO sentiment kits!! Really fun design using the KOTM, Alyssa! Love the light bulbs strung across the window. Beautiful work here Alyssa! I really love that look on acetate! I want this kit so badly! Love the simplicity of your card...thanks for sharing! of the stamps and acetate! Great window card. Love the stamping on acetate. love that you used acetate-really makes a difference. Love it! Your card is window-fully lovely! I want to try a cut out window scene sometime. I had forgotten about using a square punch for making a window. Such a neat looking card. I will have to try that again. I love you window card! Fantastic and VERY CREATIVE card! Those acetate lightbulbs look wonderful! Amazing card. It is so pretty. I love the acetate on here! Very cool! Clever card and techniques. Inspiring! Love how you used the acetate. Great card! Fabulous card! Love using acetate to create cards! Great ideas! I love the stamping on acetate. It really looks like colored glass. Love the fun idea w/the window look! This is wonderful! I love the window. Darling card! Love the cute trees in the window and the fun string of lights! Great KOM set! It's my favorite one yet! What a great idea for the lights! Great card! Great idea for the card. lovely... Tks for sharing. What a cute idea for the window! Beautiful!! That is SOOO cute. I love the little Christmas lights. Very cute!!! This is awesome. I love those little Christmas lights. WOW ! What a fabulous stamp set and such a great card. Love the techniques you used! What great ideas you shared. Thanks so much! Very clever and creative! I love the lights. Beautifully done! Bright and clean, Love the windows! Beautiful! Your card is beautiful love it!! Love how you used the acetate. The lights look great on the card. Well done! Lovely card! Love you're bulbs. So nice. This is great ... the string of bulbs is a perfect addition to the window! Your card is stunning! Love the lights and the beautiful window! What a sweet window card - love how you used the acetate, what a great effect! 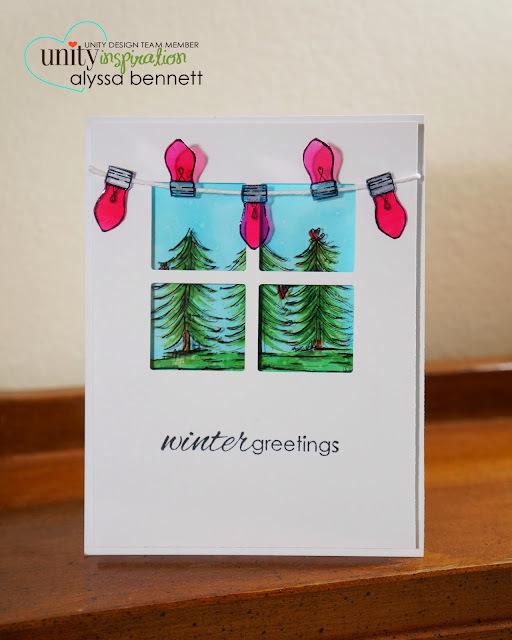 Gosh, I just LOVE your window card--awesome design! I love the card. Beautiful!! I have a window die! I never used it because I was not sure how I could use it in my crafts! Thanks for the wonderful idea! I can now finally use this die! LOVE this card! So super cute, TFS! I've never stamped on acetate love those bulbs! Genius. Love the way this turned out! Beautiful card. I love how you made the window. Thanks for sharing. Great idea using a simple square die to create a window treatment ! I must start thinking outside the box on some of my punches to see what images can be created. LOVELY card!!! Such a Beautiful Card. Love the split window look on this and the color tones are perfect for it. What a great window card and I adore the transparency light garland! Beautiful, whimsical work. OMG! G O R G E O U S ! ! ! Wish my pocketbook allowed me to get this kit!! It is an absolute must have! TFS! What a darling card! the lights on the acetate is brilliant! I love the window, and using the acetate was PERFECT! Your card is stunning...love the lights stamped on the acetate! So clever. You always come out with such amazing cards! Like your idea of dividing the tress and make it look like a window! 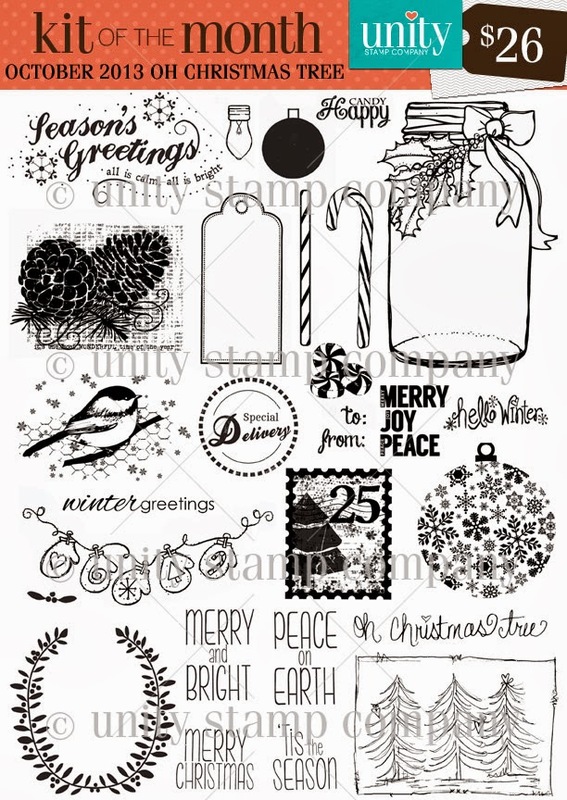 Great stamps! 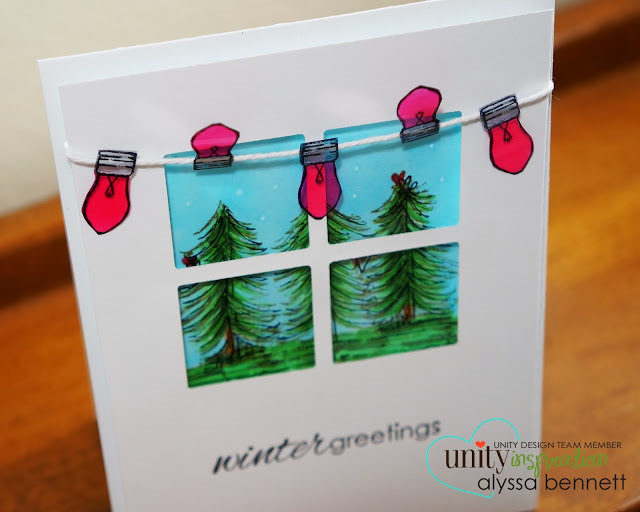 Your window pane card is so pretty and using Unity stamps is the perfect touch! Lovely card. I love you card it's adorable!!! Thanks so much for sharing. I especially like the acetate Christmas lights. Lovely card. Thanks. This is a very pretty card--love the lights! awesome card....love how you made the window! Very cute window scene and I like the lights.